How Does Solstice East Residential Treatment Center Help Maryland Teens Find Success? 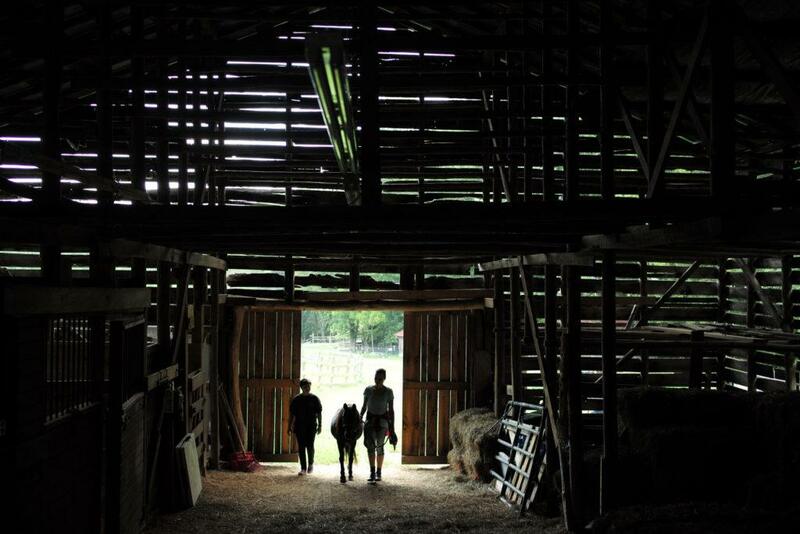 Solstice East has helped many Maryland teens and their families realize successful outcomes through a variety of therapeutic techniques and principles. At Solstice East, we designed our residential treatment center for Maryland teens to feel as comfortable and safe as possible. The milieu, also known as the structured environment of our program, was created for the purpose of designing a close knit community where every aspect of the program is designed to therapeutically benefit students. At Solstice East, we help teen girls from Maryland struggling with trauma and addictive behaviors through innovative therapeutic techniques such as EMDR, Trauma Focused Cognitive Behavioral Therapy, and Equine Assisted Psychotherapy. These therapeutic methods are an important aspect of our holistic approach to therapy. As a residential treatment center for Maryland teens, Solstice East provides accredited academics to all students. Every student receives an individualized academic plan designed specifically to meet their own specific academic needs. Small class sizes and personalized support help students from Maryland see academic gains throughout their time at Solstice East. Our academic program also helps to ensure that students are in excellent academic standing upon their return to a traditional school environment. Solstice East is a residential treatment center for Maryland teens located just outside of Asheville, NC. 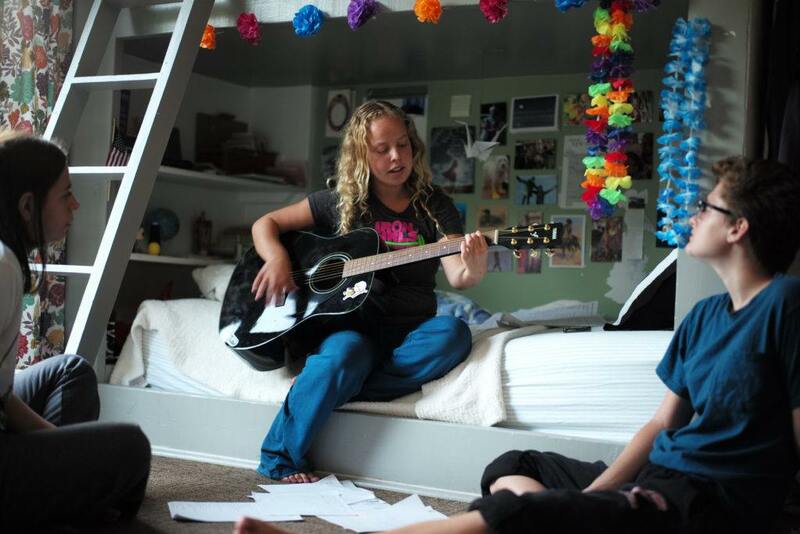 Solstice East helps teens struggling with challenges such as trauma, impulse control, and learning disorders. As a residential treatment center for teen girls from Maryland focusing on addressing the specific struggles of young women during their teenage years, Solstice East provides a unique approach to helping teen girls from Maryland find lasting success. 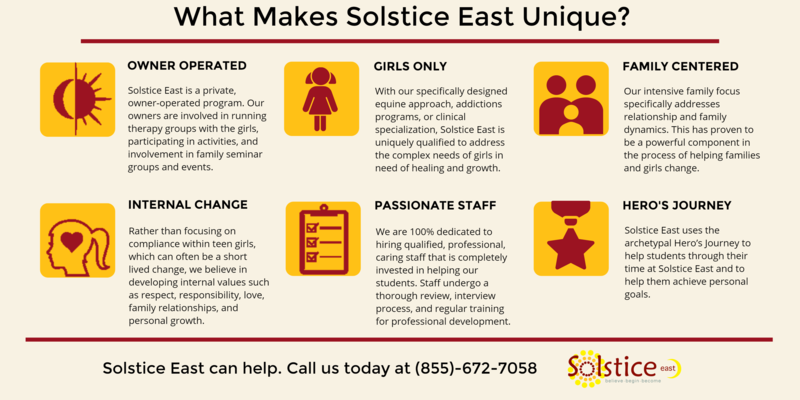 Through cutting edge academics, an expert therapeutic team, and top of the line psychiatric services, Solstice East provides teen girls from Maryland and their families with a transformative experience. Solstice East is heavily focused on helping Maryland families rebuild and repair damaged relationships and dynamics. Through family oriented programming such as family therapy sessions and family seminars, Solstice East involves the entire family through every step of the therapeutic process. Although Solstice East is located outside of Maryland, we help families from all over the country. Often, some amount of distance from a teens home environment allows for a removal of distractions from a teens life. This allows for students and families to focus on healing. For more information about how our residential treatment center helps Maryland families , please call (855) 672-7058. Therapy Programs For Teens: Therapy Programs For Teens offers a number of articles which delve into a variety of subjects about mental health. Topics ranging from the best treatment options for struggling teens to mental health related events in pop culture are discussed. Therapy Programs for Teens is a great resource for parents seeking more information about specific treatment methods and recent news about research.